T Lymphocyte, coloured scanning electron micrograph (SEM). 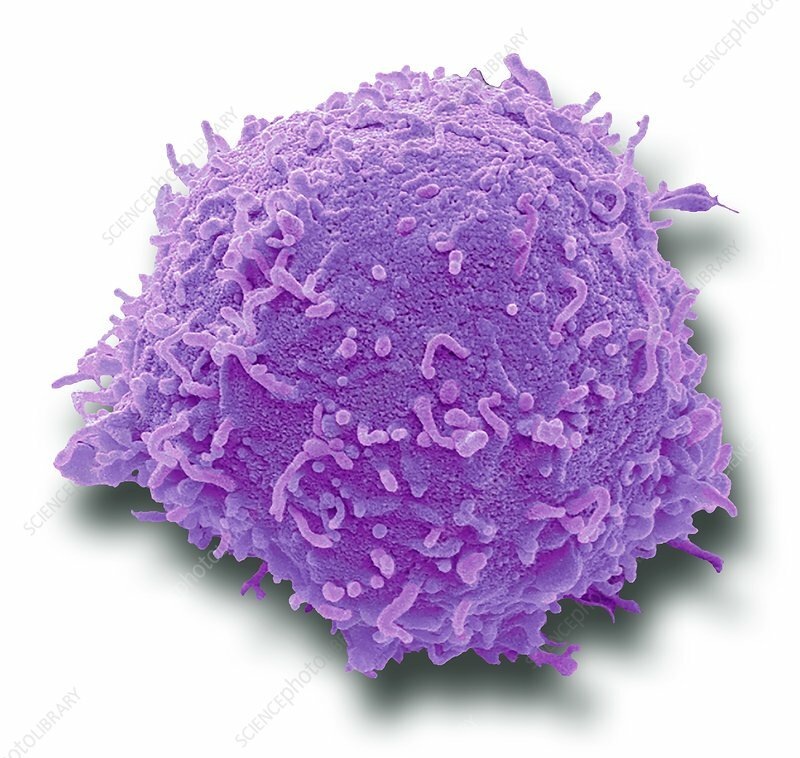 T lymphocytes, or T cells, are a type of white blood cell and components of the body's immune system. They mature in the thymus. T lymphocytes recognise a specific site on the surface of pathogens or foreign objects (antigens), bind to it, and produce antibodies or cells to eliminate that antigen. Magnification: x12, 000 when printed at 10 centimetres wide.